This comprehensive Leader’s Kit has everything that you need to teach Habitudes® for the Journey to a single class or small group of students. 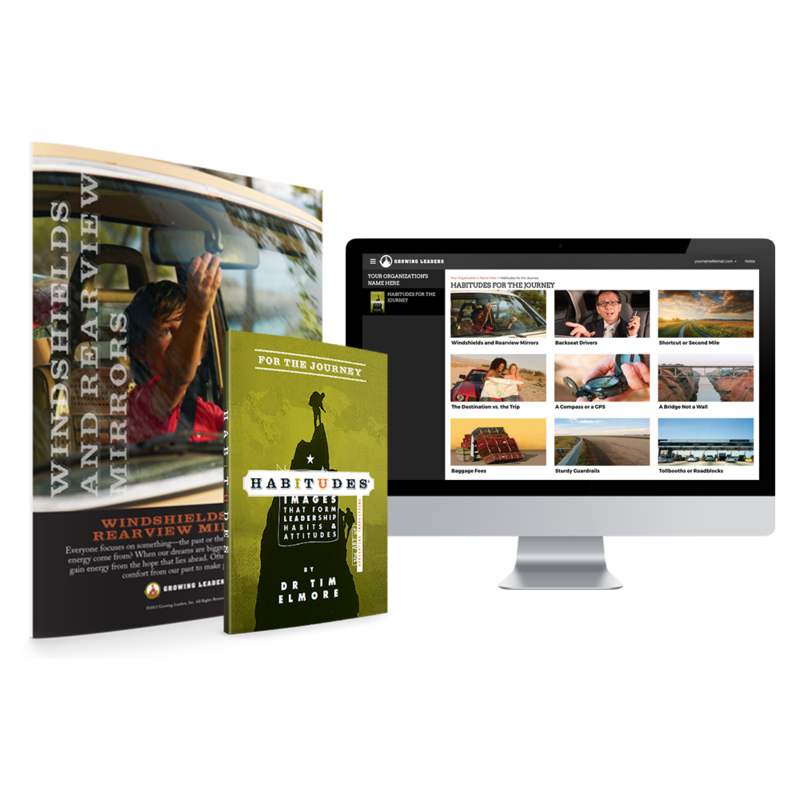 Habitudes for the Journey: The Art of Navigating Transitions is an extension of the leadership journey that uses the power of images, conversations, and experiences to illustrate thirteen vital principles on how to handle major changes or transitions in life. Master the transitions from school to college and college to career. Build students who make wise decisions that keep them in school and out of trouble. Looking to teach more than one class or group? Call our team at 770-495-3332 to access group pricing. Life is full of transitions: from middle school to high school, from high school to a college or a job, and especially from college to a career. Each transition is an opportunity to establish healthy habits, make smart choices and meet great people, but unfortunately, some students aren’t able to navigate these intense changes. They find themselves at a destination they don’t like because they didn’t make the right moves at crucial times. This kit is designed to prevent that. In The Art of Navigating Transitions, Dr. Tim Elmore seeks to teach students how to make large, critical decisions in their lives. Through thirteen memorable images — each with a series of engaging stories, self-assessment questions, and thought-provoking discussion topics — students learn and internalize important principles on making important, purposeful decisions that will help them set the right course for their lives sooner. Why Use The Art of Navigating Transitions? *Computer in product image not included. Note: If you work with student athletes, we offer leadership resources specifically geared for use in an athletic setting. You can click here for more information. *Also available in a Faith-Based Edition for Christian Schools, Colleges and Ministries of all ages. **Habitudes for the Journey: The Art of Navigating Transitions Leader’s Kit [Values-Based] is copyright 2013 by Growing Leaders, Inc. All rights reserved. No portion of this material may be reproduced, stored in a retrieval system, or transmitted in any form or media by any means, electronic, photocopying, recording, or otherwise, without the prior written permission of Growing Leaders, Inc.
Click on the link below to view a free sample of the HabitudesOnline digital license for Habitudes for the Journey: The Art of Navigating Transitions.